Un.titled worked with A Modern Grand Tour to develop a responsive e-commerce website for an unrivalled collection of fine art and modern design. Aynhoe Park is the 17th century Palladian home of James Perkins and his collection of curiosities from around the World, accumulated over 25 years of adventuring. 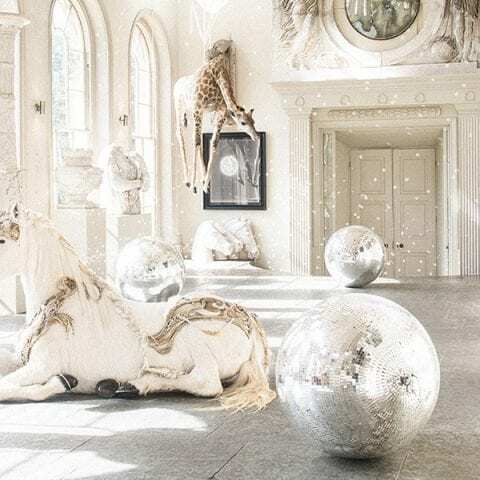 Part museum, part wonderland, this impeccably curated collection of fine art and modern design is now available to invest in. Un.titled worked with A Modern Grand Tour (AMGT) to develop a responsive Shopify e-commerce website that would present the collection online. The website had to convey a sense of elegance and sophistication befitting such a collection, without losing the sense of adventure and quirkiness imbued in the works. We worked closely with AMGT to develop a site structure and content plan that would meet their requirements from an administration standpoint and present the collection in a clear and compelling manner to visitors. Subtle animation of interface elements provides feedback while generous amounts of whitespace give the product photography room to breathe. The responsive layout collapses and reorganises content for smaller screens, while ensuring all information is readily available. Custom theme options extend core Shopify functionality and provide AMGT with complete control over site content. We also implemented a bespoke feature that allows AMGT to adjust the widths of products in the listing view, enabling them to introduce variety into the standard uniform product grid. The team at Un.titled are a pleasure to work with and we have been thoroughly impressed with the service throughout the process. Our brief came to life very smoothly / organically and we are thrilled with the finished model. The responsive mobile view is proving a particularly effective tool already.